Currently, we are developing steam reforming catalysts focusing on methane, which is the main ingredient of natural gas. 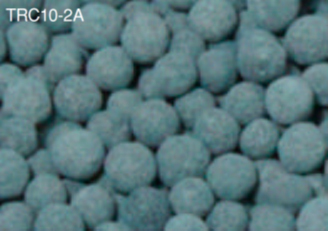 ・Ruthenium is used to suppress carbon deposition. 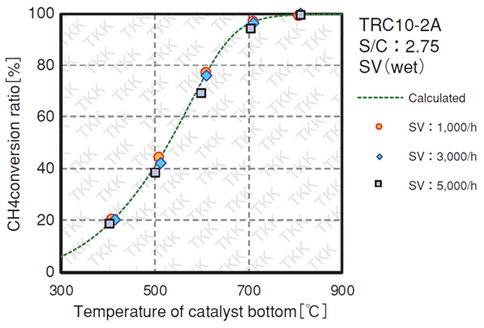 ・A newly developed catalyst（TRC413）is used to suppress by-product ammonia and carbon deposition simultaneously. *We offer consultations regarding the trial manufacture and contract production of catalysts that have been customized in accordance with customer needs.